Not only are there vintage baby items at my parent's house, but there are also toys. My niece loves to play with them because they are new to her, and it is nice my sister doesn't have to haul a bunch of toys with her when she visits. 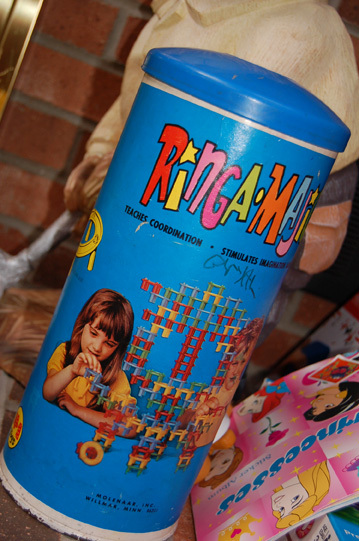 Here is a set of RingaMajigs. I think these came from my grandma's basement. We used to play with them when we were kids. Here is a stool my sister and I used, and now Avery uses to wash her hands and brush her teeth when she is in the bathroom. 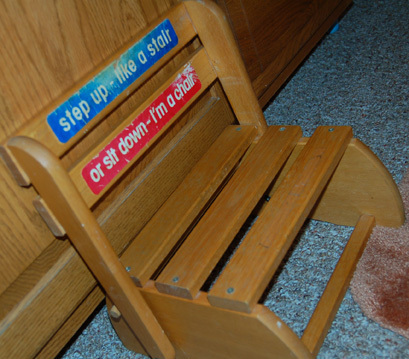 It is currently in the chair position, but the back of the chair flips down to become a step! This is Amanda. 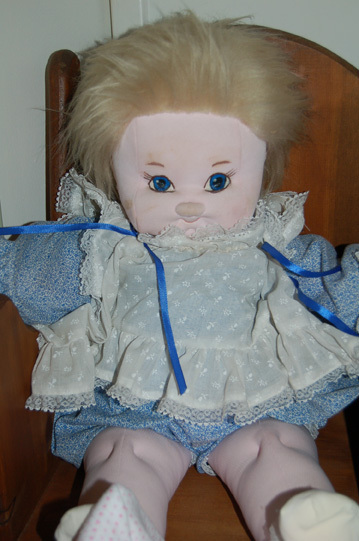 My aunt made this doll for me when I was a child. Her hair is a little crazy, but she is still in tact.